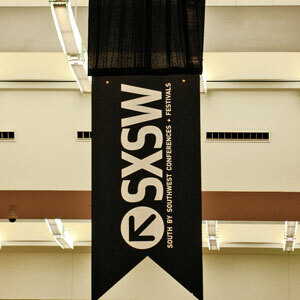 SXSW Wristbands are now on sale! The initial supply is 4,000 wristbands at $129 a pop for Austin residents only. There are also a few things you should know before buying them. Update: The $129 wristbands are sold out! 500 additional wristbands ($165 each) are on sale now. Click on the link below to purchase one. 1. You must provide a valid credit card with funds available to purchase the number of wristbands you request (up to 2). Wristbands cost $129 each ($258 for two) (includes tax and service charge). 2. The purchaser will provide their name, phone number, e-mail, valid credit card number and expiration date, billing address, drivers license number or valid government-issued ID number. The billing zip code must be listed in the approved greater Austin area list. 3. A second wristband may be purchased by providing a separate name and e-mail address. All wristbands are non-transferable and nonrefundable. 4. Each named person must personally pick up his or her wristband (which will be put on his or her wrist at that time) at the Austin Convention Center from March 17 through March 21. 5. Each person may only buy one wristband for themselves and one friend. Any person who succeeds in purchasing multiple wristbands will be charged, but will not be able to use them for other people other than the one friend named at the time of purchase. 1. Each individual must pick up his or her own wristband and will need to present a drivers license or valid government-issued photo ID to claim his or her SXSW wristband. 2. The wristband will be fastened on an individual's wrist at time of pick up and will be invalid if removed before the festival is over. 3. An individual may not pick up a wristband for someone else. For more information, consult the FAQ's.